Corepoint Integration Engine enables Mary Lanning Memorial Hospital to participate in statewide health information exchange and improve the performance of healthcare interfaces. FRISCO, Texas, July 27, 2010 – Mary Lanning Memorial Hospital, located in Hastings, Nebraska, utilizes the Corepoint interface engine to improve workflow and participate in a statewide health information exchange (HIEHealth Information Exchange (HIE) focuses on the mobilization of healthcare information electronically across organizations within a region or community. 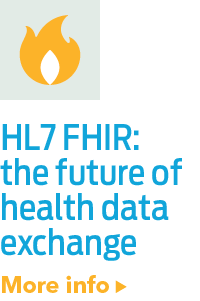 HIE provides the capability to electronically move clinical information between disparate health...). Since migrating to a new HIS (McKesson Paragon®) would require interfaces to be rewritten, IT director George Sullivan took the opportunity to consider a solution more modern and capable than their existing interface engine. After an evaluation, Corepoint Integration Engine was selected for the hospital’s interfacing needs. For mary lanning memorial hospital, the implementation of the corepoint integration engine was simple and smooth. "the transition to corepoint health was completely trouble-free," said it analyst, michelle musgrave. "it all just seemed to all come together and make sense. it really was a much easier process than i was anticipating." mary lanning memorial hospital manages their interfaces within a paragon® environment and establishes connectivity to additional vendor systems when needed. examples include powerscribe® radiology dictation, pyxis® for adt and charge information and a bedside glucose monitoring system. especially significant was that corepoint integration engine made participation in a statewide hie, nehii (the nebraska health information initiative), simple. "i don't know how we would be able to participate in nehii without corepoint integration engine," said musgrave. 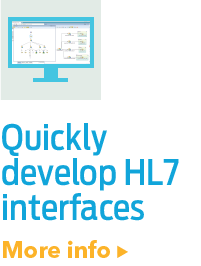 "we send hl7 adts, lab results, radiology results and transcriptions to nehii in real-time." it was also important for mary lanning memorial hospital to find an interface engine vendor that placed equal importance on product quality and customer support. "i love the corepoint health support team," said musgrave. 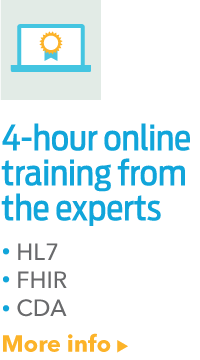 "they are proactive, respond quickly and offer real solutions to my questions. i've been very impressed with the knowledge and professionalism of corepoint health support." musgrave was enthusiastic to point out the power corepoint integration engine provides users within a paragon environment. having applications from several vendors, as well as many applications from the same vendor has made the flexibility and performance corepoint integration engine an integral part of the hospital's infrastructure. "it's really helpful to have corepoint integration engine in the middle. it gives us so much more power to make systems work the way we want, when we want," said musgrave. “corepoint integration engine gives us so much more flexibility to make things work," added musgrave. "with corepoint health, we can make any needed changes to an interface, resolve problems, and really speed things up." "we are delighted to work with dedicated teams like the one at mary lanning memorial hospital, and are pleased corepoint integration engine has had a positive impact on the overall workflow performance at their hospital," said phil guy, ceo of corepoint health. mary lanning memorial hospital has served the city of hastings and surrounding nebraska communities for over 90 years. it is a non-profit, jcaho-accredited, 183-bed acute care facility that offers 29 medical specialties in areas such as medical, surgical, obstetric, rehabilitation and ambulatory services.